Coriander is made from the dried seeds of cilantro and its native regions span from southern Europe and northern Africa to southwestern Asia. The exact region from which this spice originates has not been pin-pointed and it is currently grown in many places all over the world. The culinary use of this spice dates back to biblical times and archaeological excavations have proven that it was a popular spice among ancient Egyptians. Although coriander is a part of the cilantro plant, it has a very different flavor than the fresh leaves. 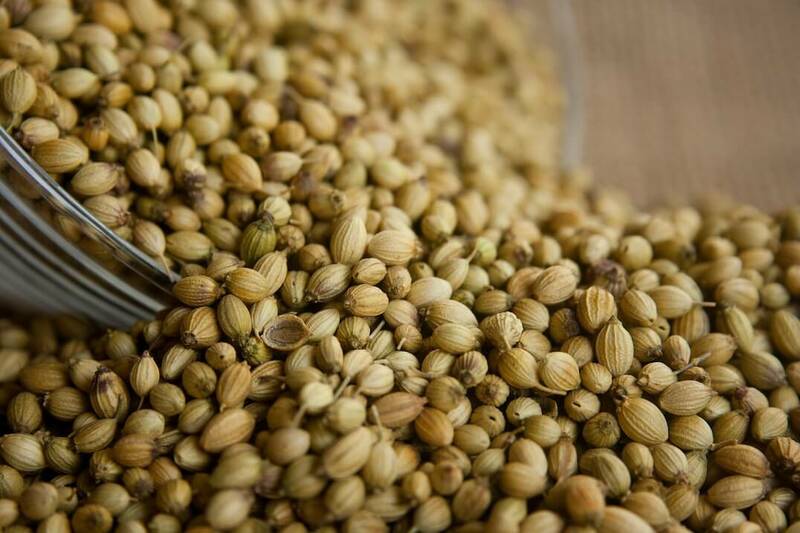 Coriander is an aromatic spice, with a sensually musky scent that is punctuated by a twang of citrus. Its raw and earthy fragrance also has very slight hints of butter and thyme, creating an overall aroma that is both subtle and complex. The flavor is quite mellow and earthy with lemony undertones. It is warm, mild, sweetish and citrusy with a gentle flavor that rarely overpowers a dish. It works very well with other spices, most of all with cumin. As you become familiar with using coriander, you’ll find that its final flavor is greatly affected by how it’s prepared. Overall, the flavor of this versatile spice deepens the longer that it is cooked. 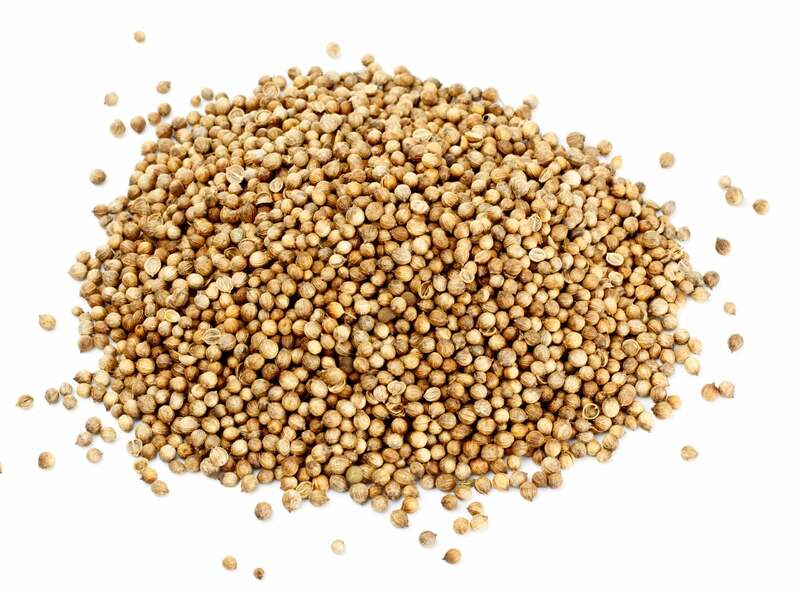 Coriander seeds are very rich in nutrients that are essential to the human body. Because of this, coriander has a multitude of health benefits to offer. Coriander is a popular ingredient in many different types of ethnic cuisine from Latin-American and Mexican cooking to Indian dishes and traditional Italian sausages. This spice is a key ingredient in falafel and in a traditional Egyptian appetizer called dukka. 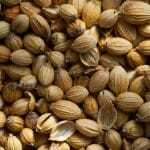 One of the most common uses for coriander is in homemade curry powders as well as Indian soups, stews, and various curry dishes. Traditional English black pudding calls for coriander, as do various other desserts. In fact, it’s probably the “secret ingredient” in some of your favorite desserts, as it has become a popular addition the world over. Pickles are often flavored with coriander seeds, which add a bright yet mellow flavor. 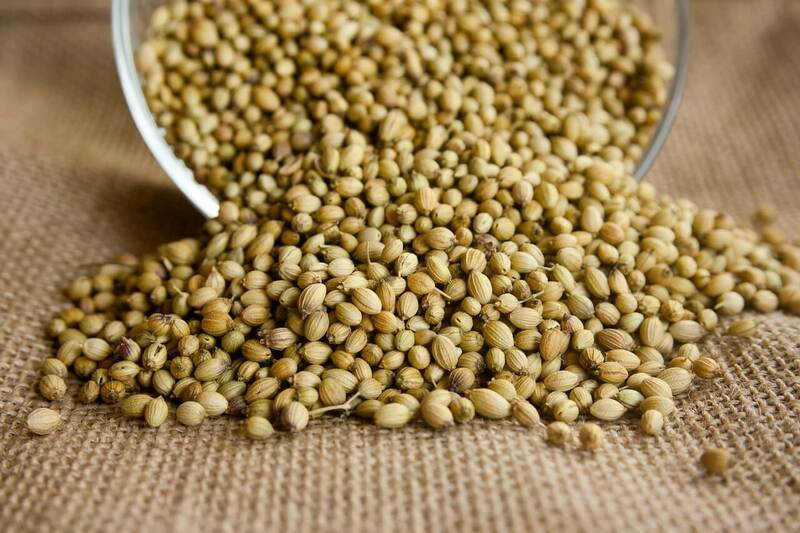 In Arab cuisine, coriander has become a characteristic flavor component. Lamb, kid and meat stuffings and Taklia (a spice mixture) are commonly made with this spice. The flavor of coriander makes an exquisite complement to the taste and spice of chili peppers. Harissa, a hot North African red pepper sauce, makes use of this pairing. Coriander is one of the most under-utilized spices in most kitchens, but it can quickly become your new favorite way to flavor almost any type of dish. It can complement nearly any ingredients you might put together and it does take on different flavors when paired with different types of foods. This is a spice that should be experimented with in order to be fully understood and appreciated for its incredible range and amazing versatility!